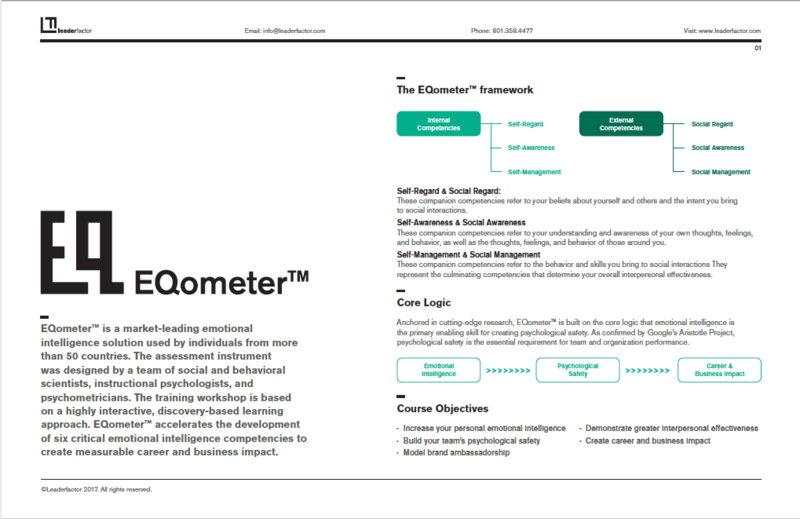 Overview: The EQometer™ is the most accurate, comprehensive, and powerful emotional intelligence self-assessment available today. It was designed by a team of social and behavioral scientists, instructional psychologists and psychometricians. EQometer™ is used by individuals from more than 50 countries around the world. The assessment consists of 180 rapid response questions and takes approximately 20 minutes to complete. The results are categorized into six competency areas. The report provides overall results with specific detailed analysis of the six competency areas, along with developmental suggestions for each. 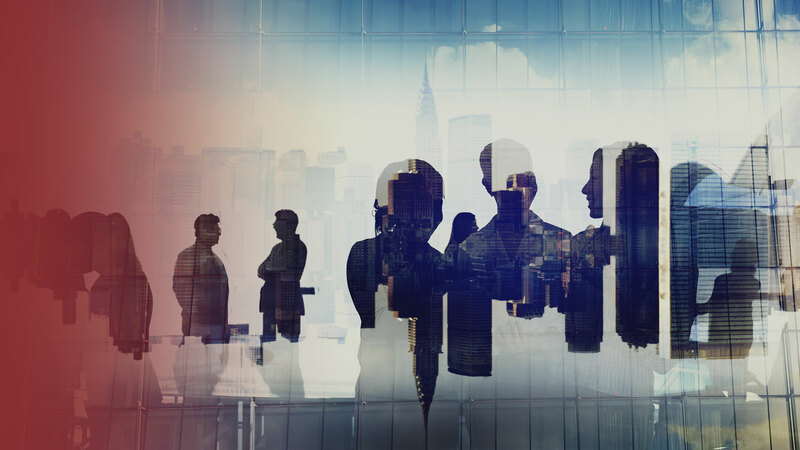 Audience: Anyone seeking to improve their influence skills and gain greater insight into their self-awareness and effectiveness in working with others. Delivery: Online assessment. Report immediately available upon completion. To receive maximum benefit, the assessment is typically used in conjunction with the EQometer™ Workshop or as part of a coaching engagement. *This assessment is offered in partnership with LeaderFactor. Paul Terry is a senior partner and certified facilitator with LeaderFactor.